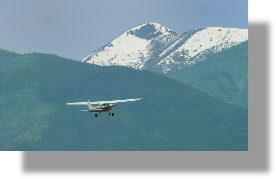 Take an introductory flight from Bitterroot Aviation. You will have your first lesson which you can log toward gaining certification as a Private Pilot. During the introductory flight you will do the preflight inspection, taxi to the runway, observe airport signage, do an engine run-up, take-off, maneuver the aircraft in flight and land. 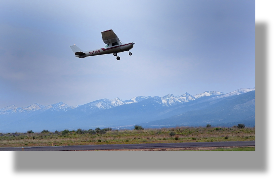 All this is done under the supervision and assistance of the instructor and you will be able to enter the flight into your log book for your continued flight training. The introductory flight is only $49.